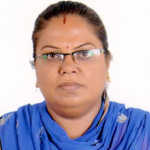 I am Nita, a citizen of Bhuj has been organizing cattle owners in slums, trying to make milk production a legitimate integral part of city life. While working with Sahjeevan, I found cattle owners and their animals are living in a pathetic condition in the slums of Bhuj city. 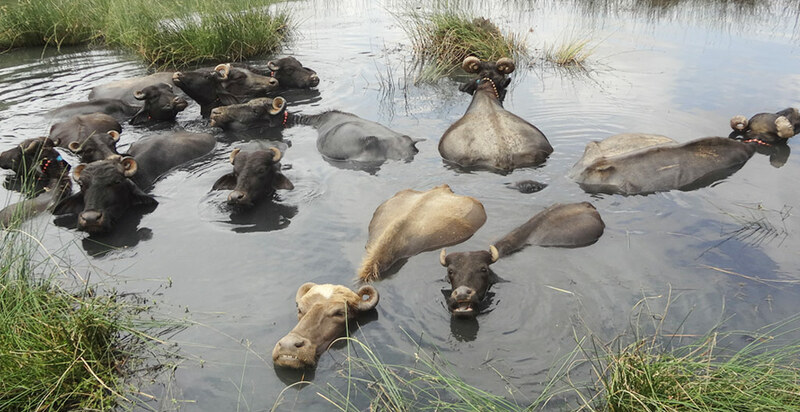 As cattle owners live in informal settlements they lack basic amenities and legitimacy from the authorities leading to bad management of their animals. This affects their business and affects the quality of milk as well. However, consumer confidence in packaged milk is low and many families prefer buying milk from these animal keepers as their relationship with them ensures quality. This direct relationship with producers and consumers excites me as it reduces the long value chains and encourages small business and human exchange. Earlier, there were areas reserved for grazing around the city, these are increasingly being encroached by vested interests. This is leading to animals foraging for food in the streets of the city. This is creating tensions, sometimes leading to skirmishes between the animal owners and the administration. I have therefore decided to try and envision a city that is comfortable with agrarian production within the city, bringing dignity to the profession of animal husbandry and clean milk availability to the city. 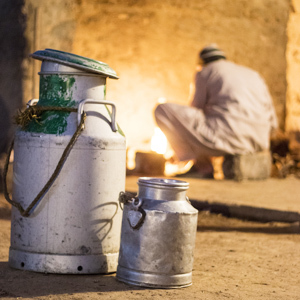 A study has been completed on cattle owners and milk production in the city. 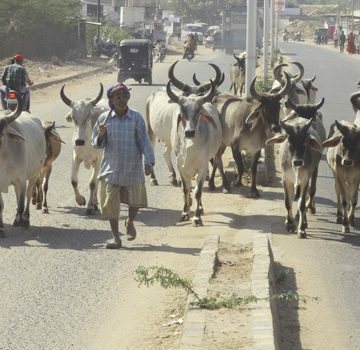 An association of cattle owners has been formed and registered in the city. A proposal for setting-up an animal hostel in the city has been submitted to the State Government. 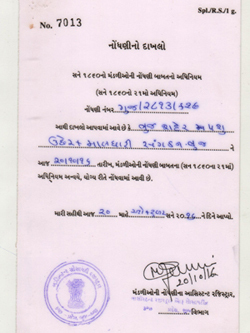 Supply of fodder to animal owners from surrounding farmers and individual donors. A milk collection centre has been set-up for the collection of surplus milk and supply to the dairy. In the slums of Bhuj, there are 370 families engaged in milk production with 6500 cows, 1800 buffalos and 3000 goats and sheep (Sahjeevan, 2013). The cows alone produce 13,000 liters of milk every day with a consumer base of over 9000 families that amounts to about 18% of the city population. Studies show that each cattle owner with about 20 cows can earn a minimum of Rs. 20-25,000 every month (Sahjeevan, 2017). 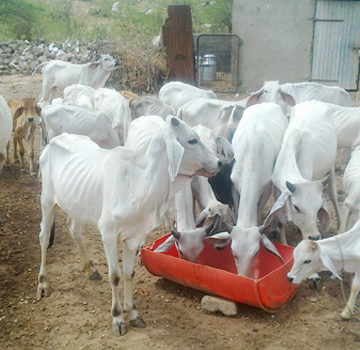 Setting up animal hostels will ensure a clean production system, direct contact between consumers and producers, cutting down the costs of value chain production in dairies ensuring the management of stray cattle from roads, recycling kitchen food waste as fodder for animals, and better health and living conditions for the animals. 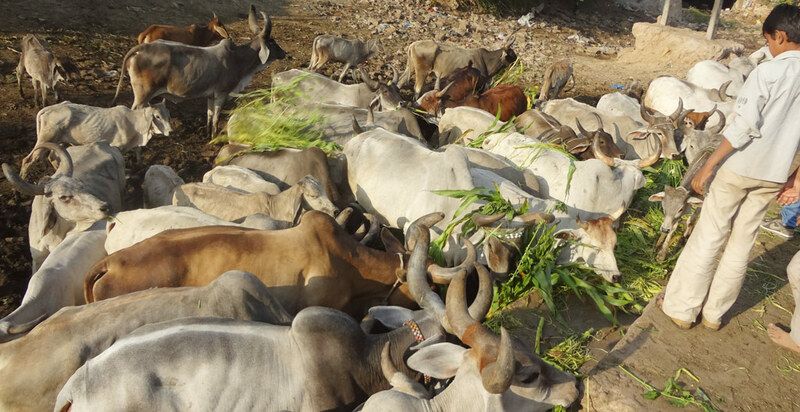 By setting-up 13 to 15 such Animal homes, Bhuj can ensure 50-70% supply of the milk that the city needs. 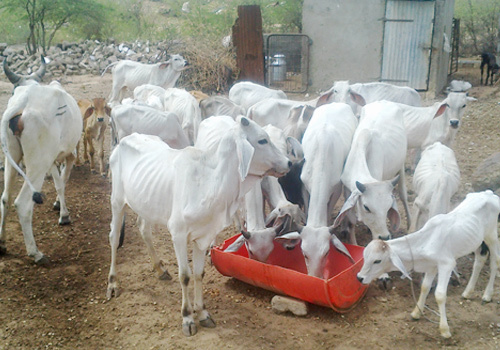 The State government’s Gau Seva Ane Gauchar Vikas Board has for the first time considered the proposal for establishing an Animal Hostel to scientifically manage 500-750 animals. It will help the city to plan and allocate space for animal homes. The Animal house will adjoin the owners’ homes at the end of a falia, or cluster of homes. It will be equipped with a shelter, water facilities, storage of dry fodder, milk processing facilities, an outlet for milk and milk products. The Cow dung will be converted into cooking gas and supplied back to the owners’ homes. The cattle owners already have an arrangement with the farmers of adjoining villages for the production and supply of green fodder. A detailed survey of the animals and producers has been conducted. An association of the producers was registered in October 2016, with an initial membership of 115 members; an executive council of 11 elected representative members was also formed. 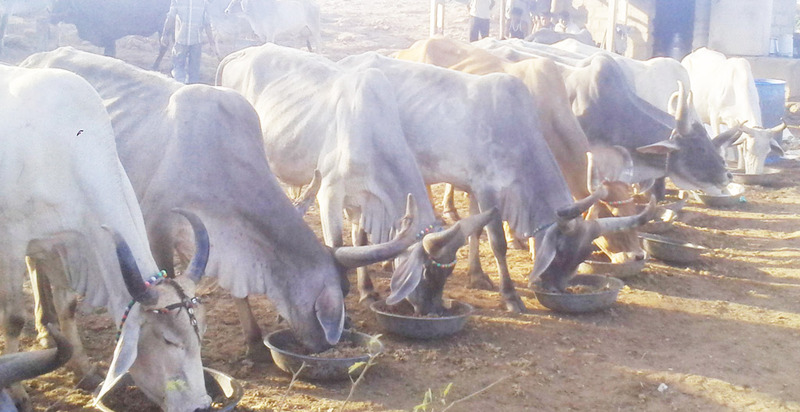 The association has set up ties for the supply of dry fodder. A milk collection centre has been set up and the surplus milk is being supplied to the dairy. Proposal for the first Animal House has been considered for approval by Gau Seva Ane Gauchar Vikas Board, to be built along with housing under Pradhan Mantri Awas Yojana for cattle owners residing in Machhunagar, having 500 large cattle and 2000 small ruminants. Detailed analysis and improvement programme for animal production and enterprise has been completed. 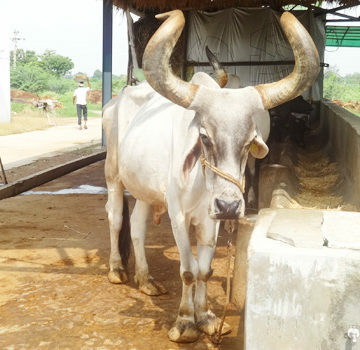 Sale of cow urine of 250 animals have been linked with organic farmers in return for the supply of green fodder for cattle in a barter exchange. Establish clean milk production through two Animal Homes for 1500 cattle, for the producers which will be economically viable. 13-15 such animal houses are required to cover the total strength of cattle in the city. 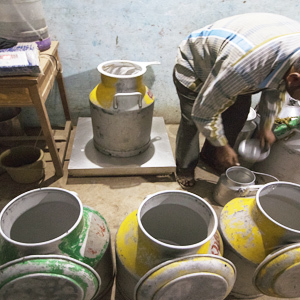 Setting-up Milk Parlours to ensure clean milk retail system in the city. 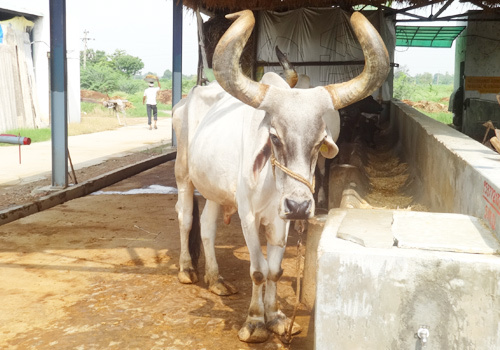 Increasing income from animal husbandry through sale of cow urine and dung for agriculture; and by ensuring green and dry fodder supply from agriculture. Coordinate and dialogue with leaders and councilors for getting approval for the establishment of Model Animal Hostel in the city. Identify and organize two-three potential places where milk ‘ATM’s’ can be placed. 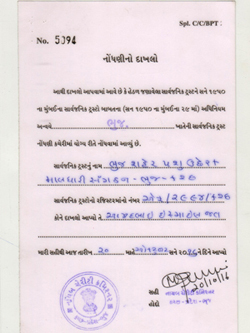 Start activities that enhance working capacity of Bhuj City Animal Breeders Association. 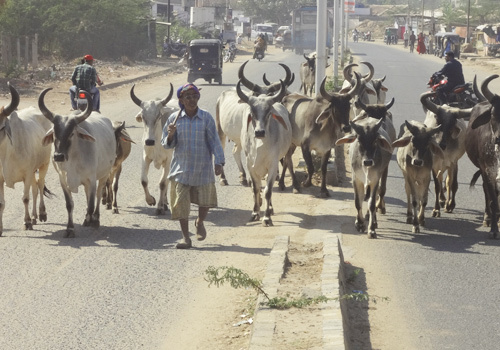 Initiate dialogue with Forest Department for accessing reserve grazing areas by cattle breeders in and around the city. Coordinate with district administration to allocate land for Animal Shelter in and around the city.